Join us in Hawaii to swim among the dolphins and learn about Parallel Timelines. The gatherings take place on the Big Island of Hawaii, Kona side, where we experience the wisdom of our positive timelines, our benevolent Multiverses, and our abilities to enter them to enhance and fulfill our present lives with new wonderful insights and actions. This is 2015, a positive turning point in our spiritual lives. Our world view has been blown wide open with the realization of parallel universes. We enter a evolutionary new Template of hyperdimensional physics, in association with our loving Star friends. We will discuss the latest science regarding the discovery of time line technology and portals, as well as gaining an understanding of how the dolphins introduce this concept to us in the ocean and how our friends in the forest, the Ancient Ones, (aka Big Foot) take us to the “sometime place” when we contact them. 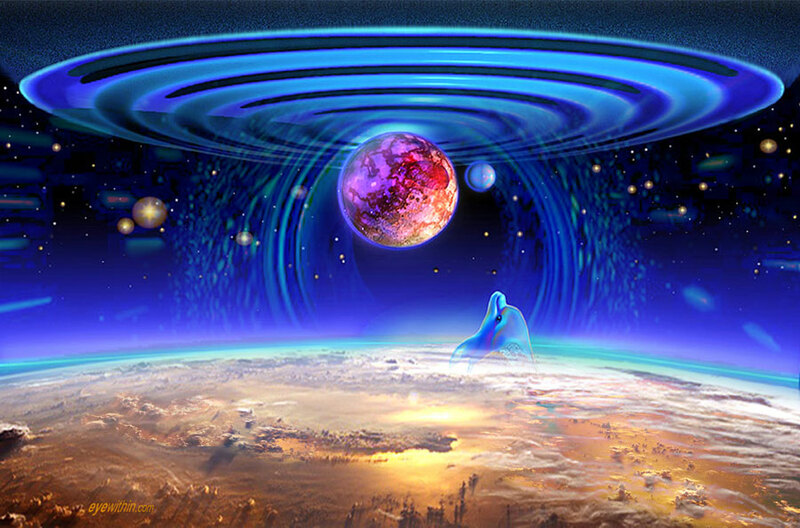 Accessing the powerful portal on the Big Island, we will enter the location (19.5 degrees) designated as a quantum access point in hyperspace connecting the Earth and our greater Universe. Entering a vortal tunnel, we pass through it, and have contact with duplicate aspects of ourselves that are fulfilling our enlightened spiritual choices in a parallel timeline….Knowing that the Universe is infinite in all dimensions, making life infinite with infinite probability outcomes. The process will open a path to alternate versions of yourself who already have all the skills, knowledge, abundance and life experiences you desire. This process was demonstrated to Joan Ocean while in the water swimming side by side with Hawaiian Spinner dolphins. They are multidimensional souls who want us to learn to access the greater worlds that reside in and around and near us on many levels. Because we have moved beyond the 4th dimension, we are able to tap Universal Intelligence to gain the answers to all of our questions. Wonderful and fascinating scientists have found the formulae to prove the existence of the infinite Multiverse, but we have now discovered how to communicate with it and to gain knowledge previously only shared with us by our spiritually advanced brothers and sisters in Space. In contact with the Multiverse through higher consciousness, we will be able to meet some of our very successful twin selves living parallel lives in other Bubble universes and (in the way of the dolphin pods) we will learn to replace fear with love, replace confusion with joy, doubt with positive direction, lack with abundance and we will clarify our purposes on Earth. This is a simple, joyful and inspiring process taking us in contact with our Guides, dolphins, and our successful twin selves who are living in parallel realities simultaneously with us now and are happy to assist us.